A Bachelor’s degree in accounting provides graduates with many benefits and several options for building upon that education. From benefits such as employment demand to getting started in a graduate degree program, this educational option provides flexibility and choice. One of the benefits of an accounting degree is the foundation of knowledge in areas of general business that are built through the curriculum. Students will complete numerous courses within the accounting major, including courses such as financial accounting, managerial accounting, federal taxes, personal finances, and accounting information systems. Additionally, students complete courses in business areas such as management and marketing. Courses typically include topics in ethical practices in business, leadership building, and operations management. In many programs, students can often turn the additional coursework in marketing or management into a specific concentration. Other specializations could include global business, information systems management, healthcare management, and finance. The ability to accumulate knowledge and credits in these areas in addition to the core accounting degree courses is helpful for qualifying for careers outside of accounting and for obtaining professional certifications as well as for graduate coursework in all areas of business. Certifications are also helpful for getting started in a career after graduation or changing careers within the business field. Examples of additional certifications that a graduate of an accounting bachelor’s degree program would have the knowledge to begin obtaining include the Certified Business Analyst Professional (CBAP®), Certified Business Intelligence Professional, and Certified Manager. 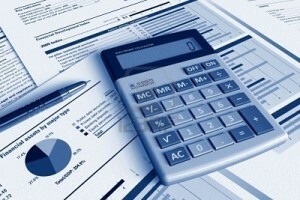 A bachelor’s degree in accounting is also beneficial for getting started in a graduate program in all areas of business. With the coursework completed in the undergraduate curriculum, graduates would be qualified to move on to pursuing a master’s degree in everything from accounting to healthcare systems management to information systems. With the option to pursue a graduate degree in a different specialization, the possibilities for future career opportunities also increase. The growing demand for qualified accounting professionals is another benefit of completing a bachelor’s degree in the field. Accountants are needed everywhere and in every type of workplace setting. First, accountants might choose to work from home as private accountants or tax preparation professionals. For professionals who prefer an office setting, there are a number of options as well such as large multi-national corporations or small local firms. Accountants might also work part-time, full-time, or only seasonally, such as during tax season. Flexibility, high career demand, and possibilities to further educational opportunities are all major benefits of this degree. With a bachelor’s degree in accounting, graduates have the options and choices to create the career path that is best suited to their own individual goals and interests.